Need to grab, rotate or pitch a part, box, or roll? 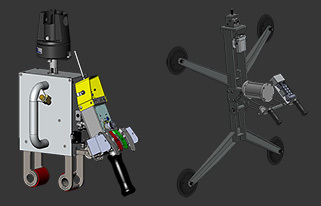 Mechanical lift assists are ideal when handling similar parts. 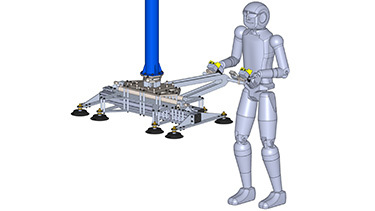 These manipulators will trap the parts and allow an operator to move a load safely and easily. 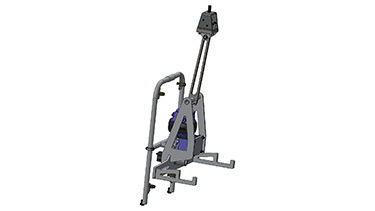 Our Mechanical lift assist devices are able to typically handle parts ranging from 25 pounds to 400 pounds. In some situations, the parts weight will provide all the gripping force necessary to lift up a heavy load. Mechanical lift assists can be a very cost-effective way to handle your everyday lifting needs. 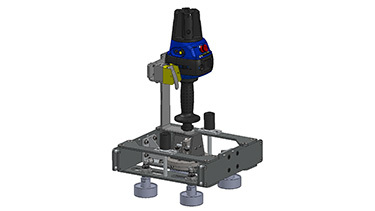 C-Frame manipulators are ideal when handling square or cylindrical shaped objects. 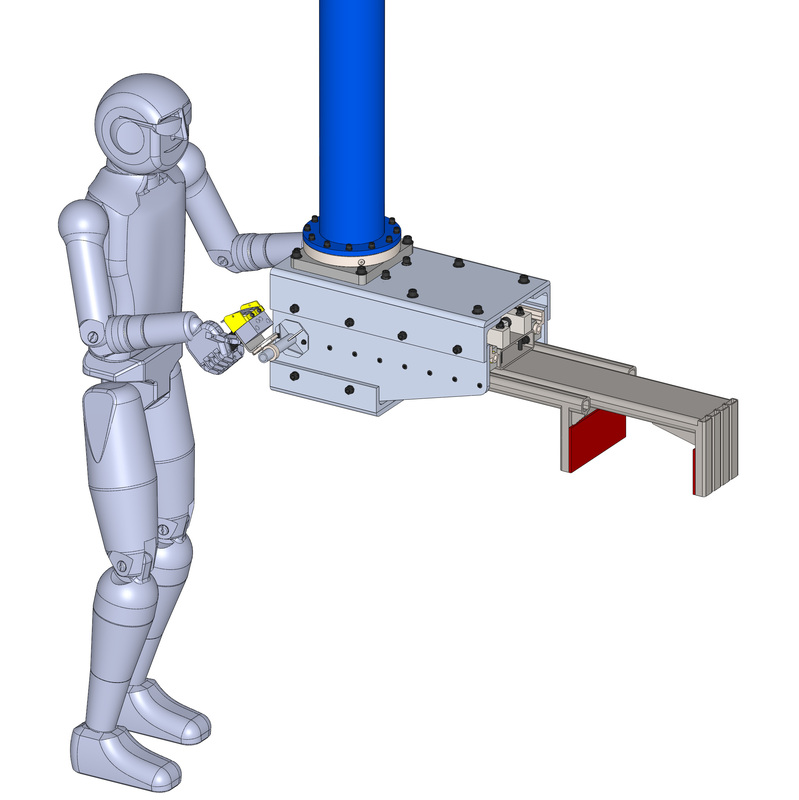 These lifting devices clamp parts using hydraulic or pneumatic power; and allow for an operator to reach into a machining center or rack. They are ideal when an overhead obstruction prevents the operator from positioning the tool directly over the placement point. Our C-Frame tooling robotic end effectors typically handle parts ranging from 25 pounds to 500 pounds. 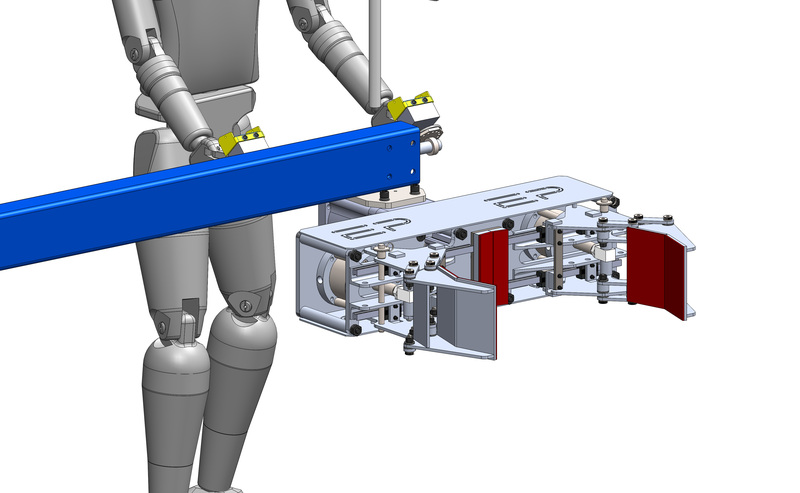 When dealing with heavy loads our gripper safety circuit will prevent the operator from releasing the part in mid-air. This is done intuitively through the circuitry on the tooling. Vacuum lifters are ideal when handling flat or slightly curved non-porous parts. These industrial end effectors can pick up many different shapes from doors, windows, boxes, bags, and round ingots of material. 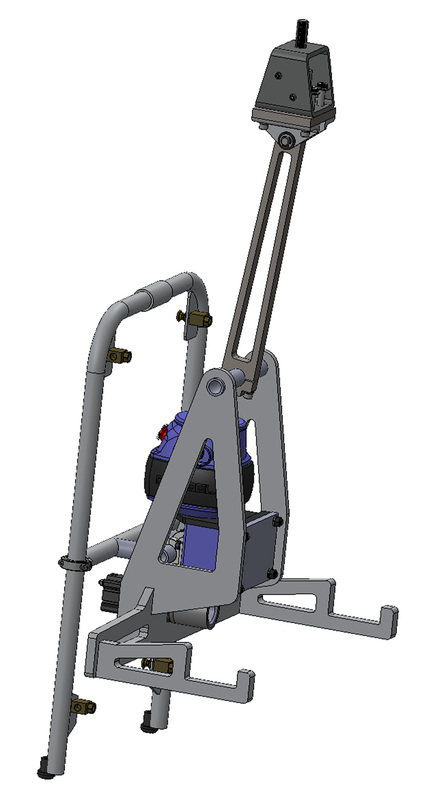 These ergonomic lifters are available with adjustable vacuum cups, allowing the operator to pick up different sized parts. During the design and approval process, the customer has the ability to request different vacuum configurations and safety features. These features include multiple vacuum circuits, check valves on vacuum cups, and a load presence release circuit. 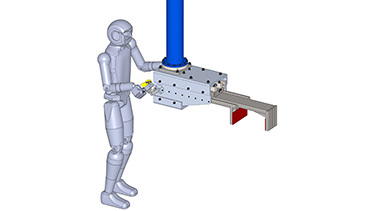 Many of these vacuum manipulators give operators the ability to rotate the part in several different orientations. 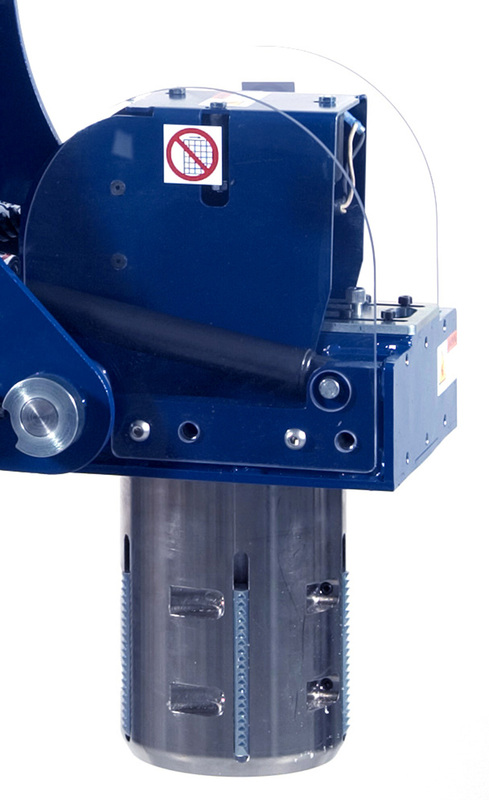 Expanding Mandrels are ideal when handling large rolls of material with a solid ID core. We offer dozens of types of core handling equipment from portable or stationary roll handling to hoist based roll lifters and roll turners. All of our standard designs are available in many different configurations for a wide variety of applications. We offer custom engineering services which give us the ability to work with any application. Our ID grip manipulators can handle loads ranging up to 1,000 pounds and are perfect for the safe movement of heavy spools. Standard grip tools are perfect for round and similar shaped parts ranging from 20 pounds to 400 pounds. These manipulators allow you to pick up and rotate parts in several different orientations, making positioning of awkward loads easy. Side grip tools are ideal when parts are close to each other. These lift assist tools allow you to reach behind a part or next to a part with only one side of the tool moving. Our side grippers come in several different options including manual 180 degree rotation, powered vertical pitching, and powered pitch, tilt, and rotate. 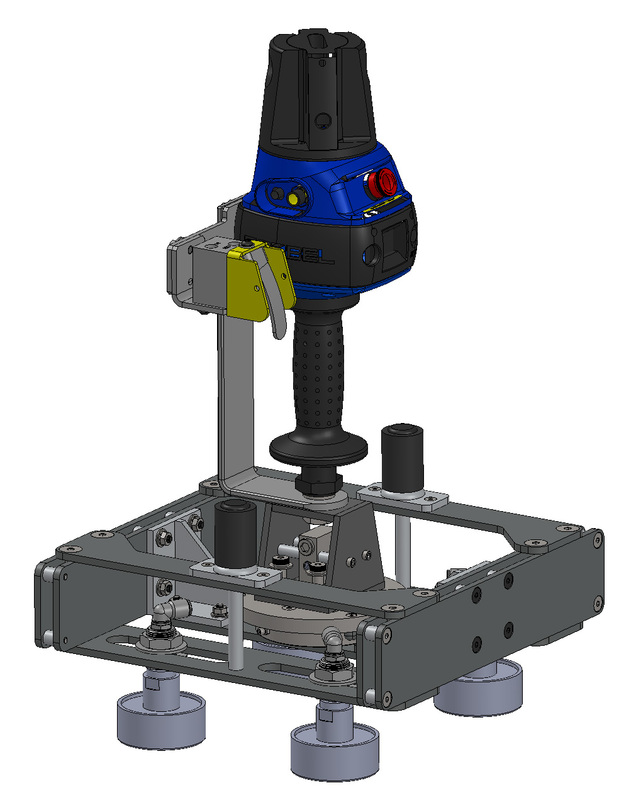 Our engineering staff can custom design tooling to fit your exact needs. Magnet lift assists are ideal for steel parts with a thickness of a quarter inch or more. Our engineers utilize air powered permanent magnets and electromagnets depending on your application. These magnet manipulators can handle loads up to 1,000 pounds. Whether you are picking up large flat sheets of steel or cylindrical steel tube, you can utilize these magnet powered manipulators for many steel handling solutions. 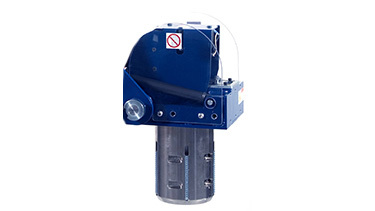 Our magnet manipulators have an option to prevent the part from being released in mid air. This is an intrinsically safe design built into the air circuit of the tooling. If you are using electromagnetic, we offer customers the option for battery backup to prevent the part from being released if power is lost.